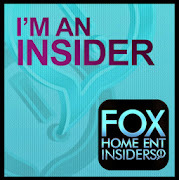 As a Purex Insider I get lots of inside peaks at whats coming up. 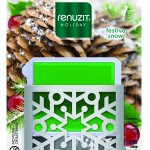 Renuzit Fresh Accent Holiday scents are just a few. Two new scents are sure to fill your home with a great holiday scent that's not overpowering. Bring a festive mood to your home this holiday season with the scent of cool Festive Snow®. I love the way these look, very sleek. When placed in a window they almost glow! My kids like when that happens. Bring a festive mood to your home this holiday season with the scent of freshly pickled winter berries. 3~ Drop Scented Gel into Holder with exposed gel facing toward the more open side of the holder. 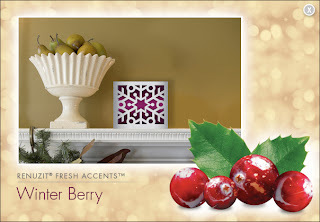 I placed my Winter Berry Fresh Accents in our downstairs bathroom. The previous owner had a cat and used an area in there for the litter box. Needless to say it still kind of smells like cat urine! GROSS! After a few days I did start to notice that the smell had subsided. Thank goodness! 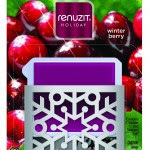 I know that the flooring needs to be ripped up but I'm not ready for that project just yet so if the Renuzit Fresh Accents air freshener will mask the odor for now I will continue to use them. And because I'm feeling generous I'm going to give away 2 FREE coupons to 2 readers!! MUST BE A GFC FOLLOWER!! Like Party of 5 on Facebook and leave a comment telling me you do!